So many will be fascinated to see all the nuts, bolts and components that are required to assemble an Xbox One X, Microsoft’s new and upcoming console which will be hitting shelves on November 7 this year. 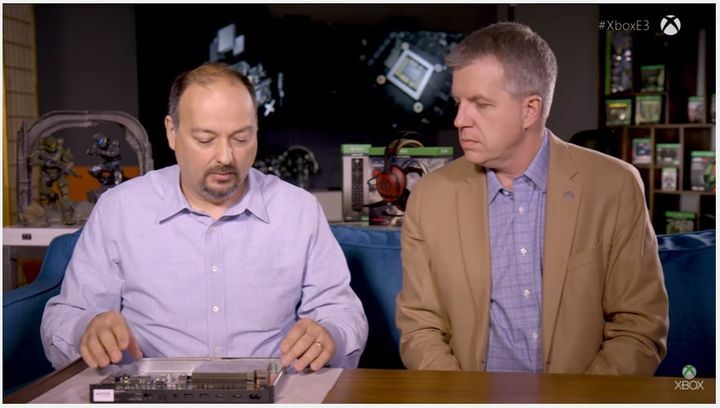 And in order to show you what’s inside Microsoft’s new black box, the company has released a video in which two Microsoft’s bigwigs go through the process of putting together an Xbox One X. These are none other than Larry “Major Nelson” Hryb and Leo del Castillo. The former is a director of programming for Xbox Live, while the latter is Xbox’s general manager for hardware, so he surely must know his onions when it comes to understanding everything that goes into making an Xbox console from scratch. Anyway, it sure is fun to see the duo going through the process of putting together an Xbox One X, offering us a rare insight into the console-building process, and seeing “how the world’s most powerful console” (as Microsoft’s describes it) will be assembled on its way to retailers the world over when it ships this fall.